Conservationists fear this will stimulate demand for poached animals while making it harder to enforce existing laws. In a move that shocked and horrified many conservationists, China this week opened up two legal markets for rhino horns and tiger body parts. Under China’s new rules, which overturn a 25-year-old ban, farm-raised tiger and rhino “products” can be approved for use in medical research or by accredited doctors in hospitals, despite the fact that the body parts have no known medicinal value. China also approved limited trade in antique tiger and rhino products. China didn’t throw the door open for all trade in these products, and in fact banned all other sales of rhino and tiger parts. The announcement says the two new legal markets will be highly regulated and controlled and adds that illegal items will be confiscated. China also banned the sale of any tiger or rhino products currently in personal collections. Still, environmental groups say this change will actually create additional consumer demand for all tiger and rhino products. The Environmental Investigation Agency called the new rules “a brazen and regressive move that drastically undermines international efforts for tiger and rhino conservation” while stimulating China’s growing tiger-farm industry. Thousands of tigers live in the country’s many breeding facilities, where they often end up being slaughtered for meat, skins, tiger-bone wine or other products. 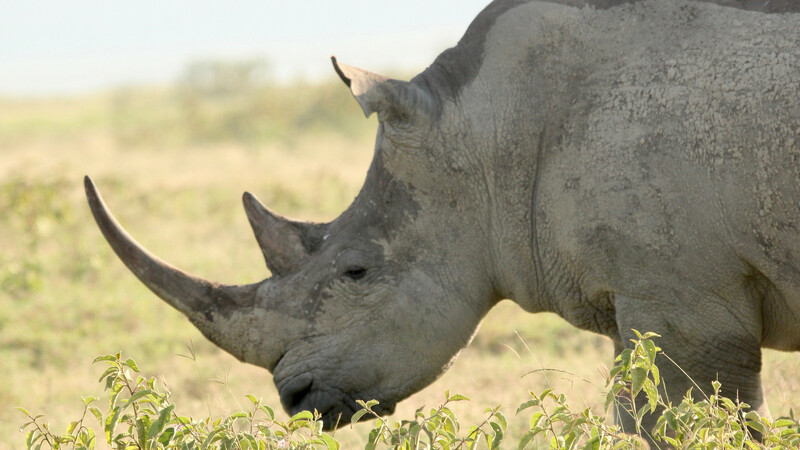 There is no comparable market for rhino products yet, but evidence suggests efforts to import rhinos into China for similar breeding and distribution. While some argue the use of captive-raised animals helps reduce pressure on wild species, the markets for both farmed and antique animal products have frequently been used to “launder” poached animals. Meanwhile the two-tier legal system of allowing some products to be sold while banning others also makes enforcement of trade laws more difficult, as it is almost impossible to visually distinguish parts from farmed and wild animals. This has been most notably the case with elephant ivory. “China’s experience with the domestic ivory trade has clearly shown the difficulties of trying to control parallel legal and illegal markets for ivory,” Margaret Kinnaird of the World Wildlife Fund said in a press release. 3 – China also has an appalling track record of controlling trade in endangered species. Its legal ivory market contributed to a 30% drop in African elephant numbers from 2007 to 2014. China is the primary cause of the current elephant poaching crisis. A similar problem has been reported with numerous other species, especially those used in traditional medicine, which values wild animals more than farm-raised for their supposed higher potency. WWF and other organizations have called for China to close its tiger farms, but this seems increasingly unlikely in the face of the new markets.